There is nothing like planning for a new school year. And I am a huge planner! I know a lot of people like to plan on their computers, but for me, there is just something about a good, old-fashioned paper and pencil planner. (I feel the same way about books! I am still a page turner too.). 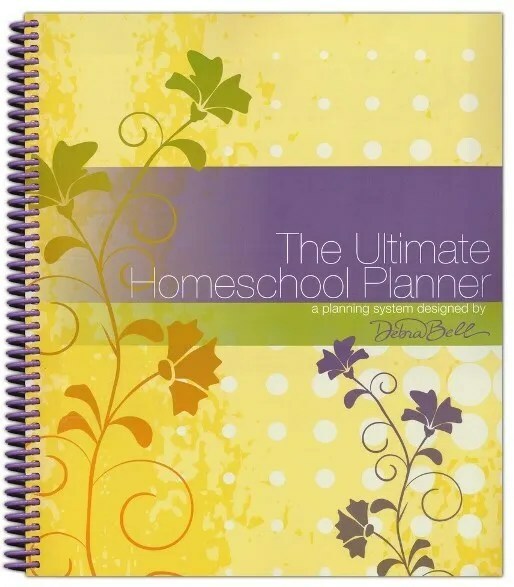 So, for this review, I was really excited to check out The Ultimate Homeschool Planner from Apologia Educational Ministries. They randomly sent out planners to crew members and I received the one with the pretty yellow cover! So, first impressions: the planner is wonderfully put together! I love the lilac color of the binding and the pockets on the inside are really convenient. The pages inside echo the same color scheme as the cover, and inspirational quotes decorate the pages. The very first page is a two-year calendar that runs through 2017, giving me a convenient monthly snapshot of the coming year. I can easily mark of holidays and school vacations in one sweep, and keep track of things like birthdays and other events. From there, the planner offers a few pages that explain the purpose of some of the special pages in the front, such as the family priorities page and the yearly and monthly planning pages. The author suggests a yearly planning retreat, which I think sounds awesome! For me, this looks like a day spent at the library or coffee shop, books and schedule in hand. I started with the family priorities page and the goal setting page for both of my kids, because I feel like I can’t really plan subjects and schedules until I get a feel for our overall goals. One of my biggest priorities for this year is planning for my oldest son’s high school graduation! EEEK! I can’t believe we are actually at the end of his homeschool journey! It is absolutely exciting and kind of heartbreaking at the same time! After that, it’s easy to progress to the monthly and weekly planning stages. They have blank monthly calendars with plenty of space to record field trips, doctors appointments, meetings, dance classes and anything else you need. Then, the weekly planner really breaks things down with space for you to record your personal Bible reading plan, prayer requests, and outreach plans for the week, and your “battle plan” which is really a place for you to list your personal goals (mine were things like “get up by a certain time” “get to the gym at least 3 days per week” etc.) and a special “Fighter Verse” which is explained in the instructions to the planner. The other side of the sheet has space to record special moments from the week and evidences of God’s Grace. I thought this was really cool, because how many times do moments like this happen, but they go by without us really taking a moment to recognize them? Writing down my goals each week really does help to keep me on track! Something about writing things down makes me feel like I have to be accountable. After years of struggling, my youngest is finally, finally doing well in grammar, so I wrote that down as a success! I love the Chew. It’s one of my favorite shows. In fact, it’s one of my dreams to go to New York and sit in the audience on the tasting board and get to sample their delicious recipes! So, I decided to give one of their quick and cheap family dinner recipes a try. This particular dinner took less than 30 minutes to make and the skin came out really, really crispy. I made a few modifications but otherwise followed the recipe as given. Season the chicken with the salt, pepper, garlic salt, and oregano. 2. Heat the olive oil in a large skillet over medium heat. Add the chicken to the skillet and cook on both sides for 7-10 minutes until skin is crispy and chicken is cooked through. Remove to a plate and cover with foil. 3. While the chicken is cooking, chop the garlic, scallions, and parsley. 4. Drain the fat from the pan and add additional oil if necessary. Add the garlic and the white part of the scallions and cook for one minute. 5. Add the lemon juice and 1/4 cup of water and cook for one additional minute, using a spatula to scrape up any brown bits on the bottom of the pan. 6. Add the beans, parsley, and green parts of the scallions and mix together, cooking until the beans are heated through. Then serve with the chicken. Like I said, this was a very easy meal to make, and it tasted so good. Best of all, it comes out to less than $2.00 per serving!! This is definitely going to go into our regular rotation. 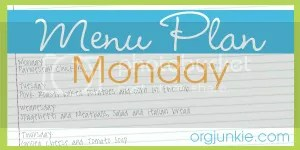 Thanks for stopping by, to see more new recipes, click the link here, see you next week! Spelling! For my youngest boy (14) it is his nemesis. Math is no problem, even the upper level stuff. And while he does not enjoy reading, he’s good at it. But spelling (along with writing, grammar, and other language arts related subjects) has always been a struggle. So, when I saw a chance to review the Phonetic Zoo Level B [Starter Set] from Institute for Excellence in Writing, I figured we would give it a shot. 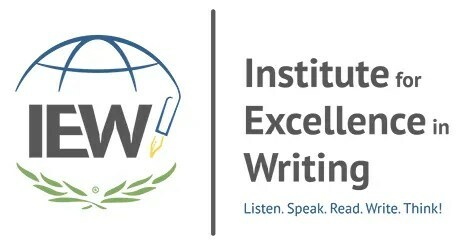 We have tried writing programs from IEW before and we enjoyed those, so I wanted to see what their spelling program was like. 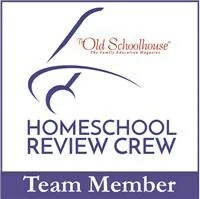 This program is designed for grades 3 and up, and is vastly different from any spelling program we have used before. 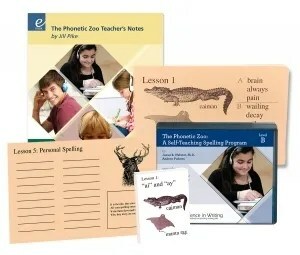 It consists of several parts, 5 audio CDs, lesson cards, personal spelling cards, and Zoo cards. You also get a downloadable teacher’s guide and a link to a streaming video that is a copy of the Spelling and the Brain video seminar featuring Mr. Pudewa. As with other programs from IEW that we have used in the past, Phonetic Zoo seems a little complicated at first, but it really is pretty simple once you get started. You do need to have a CD player and a set of headphones, but other than that, you are good to go from day one. I would definitely recommend giving the teacher’s guide a read before you start, and listening to the seminar at your leisure. It takes a little while, so I broke that into two parts, and I would say it is not absolutely necessary for you to listen to the whole thing before you get started on the program. On each track, students are given a spelling test for the words from that lesson. They follow along with the test, writing each word down. While they take the test, the jingle is repeated to remind them of the word, and they get to keep the Zoo Card with them while they complete the test. The Zoo card is a small white card that has the jingle for the lesson on the back and an image on the front of the animal that is tied to the jingle which should serve as a visual reminder for the spelling rule. The test itself is given at a steady rate of speed, with a sentence for each word. Narration alters between Mr. Pudewa’s voice and another person. The rate of the words is important for a child like my son, because he gets frustrated if things move too fast, and often will give up if he gets behind. After completing the test, the next track offers letter-by-letter corrections for each word. Students are supposed to follow along and make their own corrections to their test. Parents can choose to allow students to do this however they want. My son chose to put a check next to each correct word. Then, after he finished, I went back and looked at his test, and wrote the correct spellings next to the words he missed and we went over them together. When a child gets the words 100 percent correct two times in a row, they move onto the next lesson. On their personal spelling list they keep track of words they frequently misspell on their own to use for individual study every five lessons. All in all, level B contains 47 lessons and a final exam. Students will progress through the program at their own rate, with some lessons taking longer than others. I really like this program for several reasons, one of which is the fact that it is built on phonetic principals and it utilizes the auditory and visual senses to learn. For my son, this combination seems to work really well. We have tried the traditional approach to spelling where my son wrote his words day after day, and while he might have done well on a test at the end of the week, I never saw any real transfer to his writing. It seemed like once the test was over, he just forgot what he learned, which was frustrating for both of us! So far, Phonetic Zoo seems to really be helping him internalize the actual rules, and remember the combination of the sounds and the letters. I love the idea of using all natural skin care products, but I will be honest, I don’t spend a lot of time in the kinds of stores that sell them. And I often find them to be cost prohibitive. However, I am always open to trying them out, and I LOVED the Emu Oil and Restorative Balm I got to try from Koru Naturals last time, so I jumped at a chance to review some new products, including their Skin Clear Cream, Manuka Honey Propolis Soap, and their Argan Oil and Sandalwood Hair Tonic. I’ll start with the Skin Clear Cream, which my 17 year-old son used himself. It is designed to treat skin conditions like acne, which is a problem that he struggles with. We use one of those three-step programs for his face, and we have a prescription from his doctor, which helps, but his back was an area of concern, and we were looking for something to help with that. The prescription cream is quite expensive, and filling it to cover his face and back is a little out of our budget. 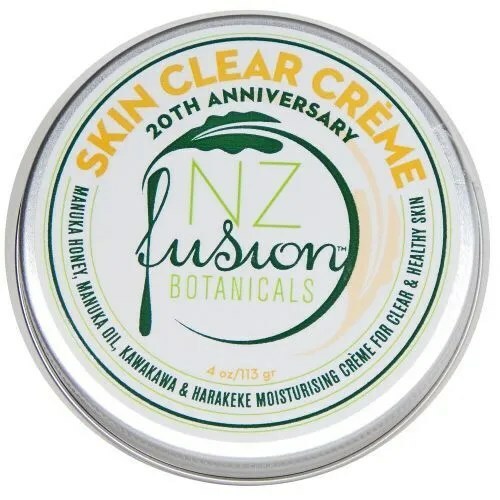 The Skin Clear Cream from Koru contains raw Manuka Honey and steam-distilled Manuka oil as it’s main ingredients, as well as thyme, Burdock root, Canadian Aspen Bark, and Kawakawa and Harakeke. The combination of ingredients help to improve the acne, act as an astringent, and have anti-inflammatory properties. While we were expecting the cream to be thick, it had an almost milky consistency, so we found out the hard way that you need to be careful when you open the container. It has a woodsy, earthy smell that I found very appealing. My son applied the cream each night after he took his shower, on his back and shoulders. After using it for several weeks straight, we did notice a big improvement in the overall redness and appearance of his acne (no, he would not let me take pictures. He is a teenager. 🙂 ). He told me the cream felt warm when it went on, and I noticed it left his skin feeling very soft and smooth. This one container has lasted us for a month, which I think is pretty good, and he has asked if I will order another. For $19.50, I feel it is pretty reasonable, so I think I will. The next product on the list was the Manuka Honey Propolis Soap, which I tried myself. Made of Manuka Honey and Propolis, the thick golden bar has a soft, sweet scent. The ingredients in the bar offer moisturizing and protective properties for the skin and is a nice, gentle overall cleanser. I replaced my regular body wash with the soap and was very happy with the results. First of all, my husband commented on how nice I smelled when I got out of the shower, and I liked how the soap did not dry out my skin. Most of the time when I use a bar of soap my skin is left feeling really dried out, but with the Manuka Honey soap, my skin was soft and smooth. This little bar only costs $7.90, and by the looks of things, it’s going to last for a really long time, so I think it looks like a great buy. The final product I got to try was the Argan Oil and Sandalwood Hair Tonic. 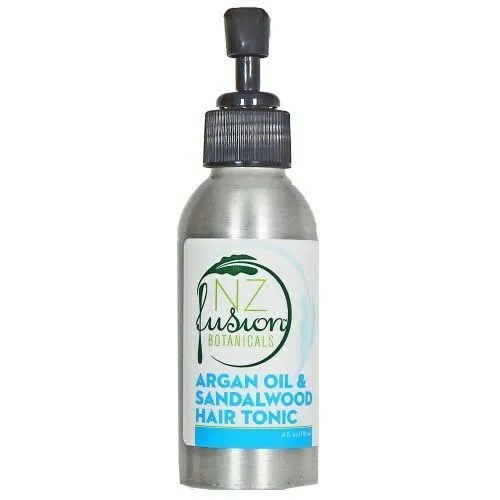 The tonic is a combination hair product and aromatherapy oil. Some of the ingredients include: Argan Oil, Sandalwood, Grape Seed Oil, Citrus Bergamia Oil, and Pink Grapefruit Oil. The oil itself has a pleasant, citrusy scent. Designed to help reduce frizz and add shine, the oil is a great addition to any hair routine. I have naturally curly hair and I live in the humid climate of Florida, so fighting frizz is a regular job for me. I used the hair tonic on my in-between days when I didn’t wash my hair (washing every day dries my hair out, so I typically wash every third day). I only had to use a couple of drops, and run my fingers through my hair, focusing mainly on the ends, to get the desired result. I found that the product did a great job of controlling the frizz all day long. While it is an oil, it didn’t leave my hair feeling or looking greasy. The tonic costs $12.20 for a 4 oz. bottle. Geography is not my favorite subject. It’s not my least favorite either, it’s just one of those that I don’t get around to much. However, I do think it’s important to learn the location of the states and their capitals. So, I was excited to get a chance to check out Drawing Around the World:USA from Brookdale House. It’s a program designed to make teaching U.S. geography simple and easy. With Drawing Around the World USA, parents get a printed workbook or printable eBook that offers a four-day learning program. Kids follow the same routine each week, which makes it very easy for them to pretty much complete the program on their own, once they get going. On day 1, students fill out a fact sheet for their state, or states, where they note information like the state capital, population, statehood, and other items. They also trace an outline of the state, and then locate, draw and label the state on a map of the U.S. On the subsequent days of the week, students locate, draw, and label their state on the U.S. map, and then on the fourth day, they list from memory, their state, and draw it on a blank map. Each week, students add a new state to their knowledge, and when they draw their new state on their map, they are also supposed to draw the states from the previous week as well. They also need to list all they states they have learned on the fourth day as they go through the program. In all, they will have gotten through all 50 states at the end of 27 weeks, with some weeks having only one state and some weeks having two. For my son, I introduced this program the first week and completed each day with him. The pages are labeled “Day 1”, “Day 2” etc., so I could just print them out and put them in his folder. If you have an atlas available, you can use that to look up information for the fact sheet, or you can just use the internet like we did. 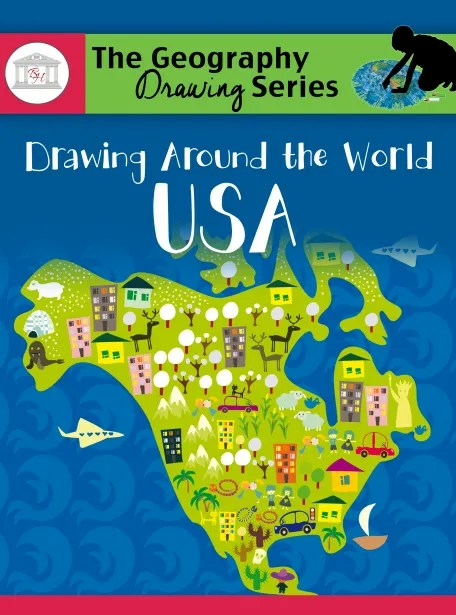 The Drawing Around the World product page includes links to useful pages for geography info and some fun games you can use to encourage your kids to memorize the states and capitals, as well as names of the Great Lakes, geographic regions, rivers, and much more. Basically, the hardest part for my son was finding the place to mark the state on the blank map, but that was hard even for me. Orientating where the location of the state was without the outlines is harder than you would think! At first, I started placing the map with the outlines underneath the the blank one to help him out, until he got more comfortable with that part. Since we used the eBook version of this program, I kept the printed sheets in a binder after he completed them, so eventually he will have a face sheet for each state. But I am not keeping each map because he adds the states to them each time.